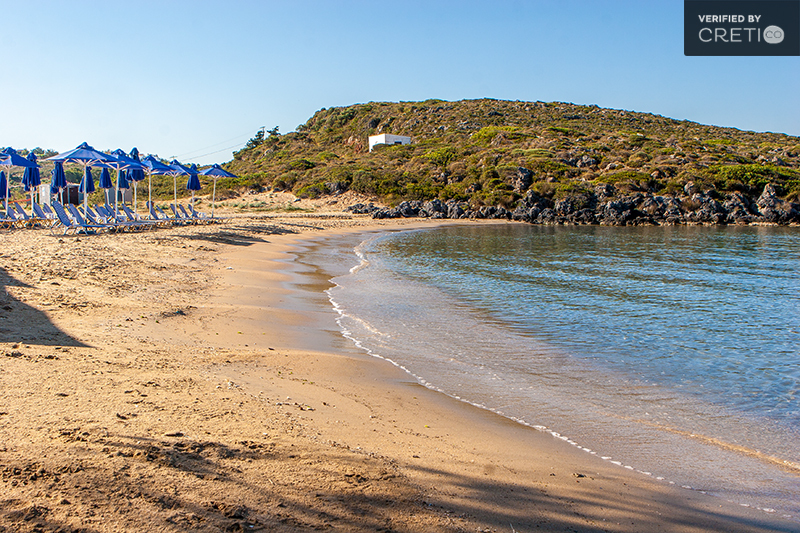 Tersanas beach in Crete is small, quiet, and protected from the wind by the bay that surrounds it. Therefore, it never has waves. It is quite shallow with clean turquoise waters and the rocks around are volcanic formations. 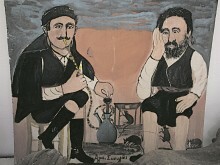 It is located on the west coast of the Akrotiri Peninsula in Chania, just 12.5 km from the city. 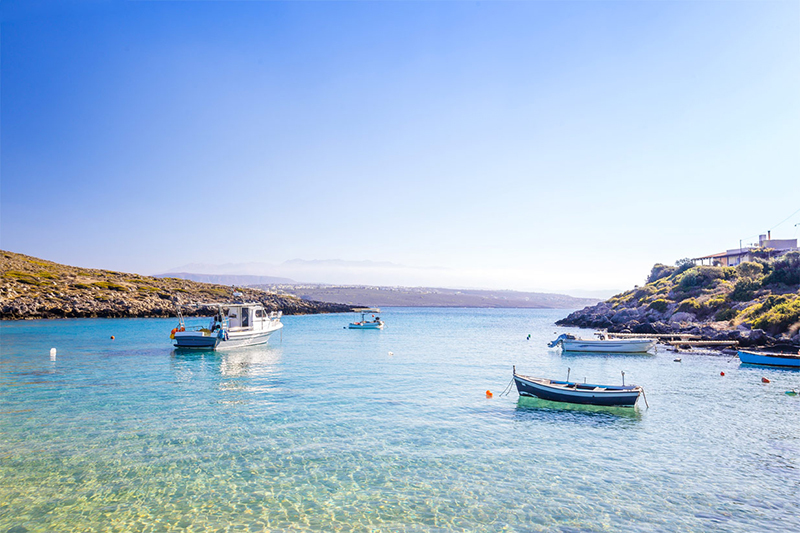 Among the rocky coast of the Akrotiri peninsula, nature has created a quaint, small, sheltered and shallow creek. It includes two beaches separated by some rocks, both of them very well protected from the wind. Tersanas beach in Crete offers all the amenities for the most discerning holidaymaker as sunbeds and a canteen, has a track beach volley. Both beaches in Tersanas are organized with sunbeds and umbrellas. You will also find a canteen with tables and chairs on the edge of the long beach and a tavern located above the pier, next to the small beach. 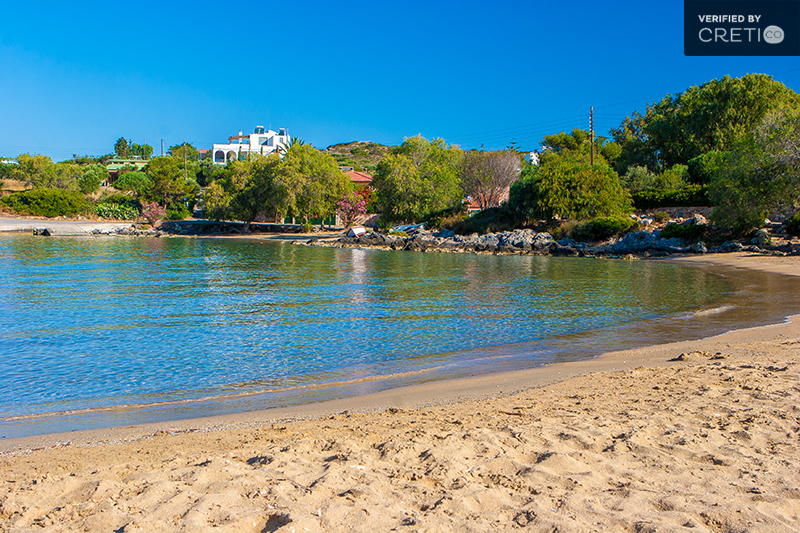 It is a very good choice for a quiet and pleasant swimming, very close to Chania. The beach is very popular to both locals and foreign visitors. It is small and especially on weekends it is crowded. Near Tersanas there is “Machairida”, a secluded small beach which attracts naturists. 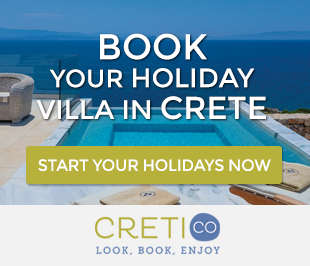 Very close to Tersanas beach in Crete, you will find a great range of holiday villas which offer all modern facilities and easy access to the beach. 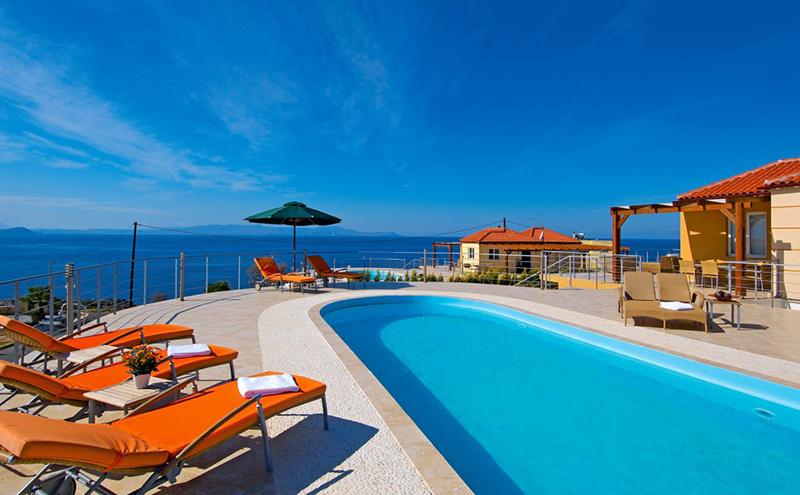 If you choose a villa in Tersanas area for your holidays in Crete, it is sure that the unique sea view of the bay of Akrotiri will stay unforgettable to you. 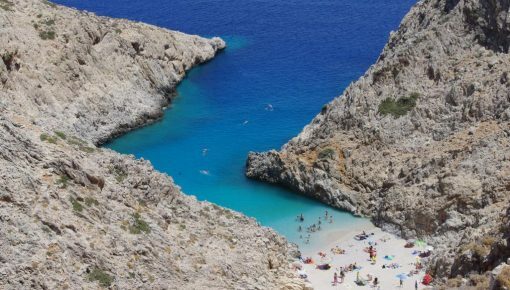 Generally, if you are looking for a family beach in the north side of the Chania prefecture, Tersanas beach in Crete is one of your choices. Agioi Apostoloi beach is coming in our next post. Stay tuned! Posted on 25 May 2015 in Chania and tagged Akrotiri, Beaches In Chania, Beaches In Crete, Stavros Beach Crete, Tersanas.